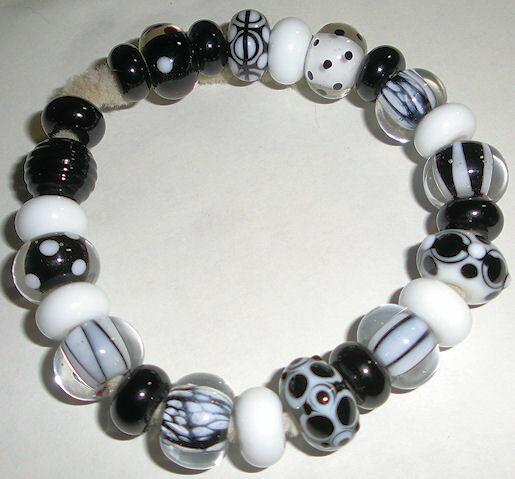 I’ve been wanting a black and white bracelet and these are some of the beads I made for it. Using only two colors has it’s challenges, I have to force myself not to add another color in. The beads rely more on the design than the colors so I have to come up with new designs. It’s a good thing as it forces me to stretch myself. I want to play with the dot on top of dots more and maybe more dot manipulation. And stringer work – which is drawing with a thin strand of glass.